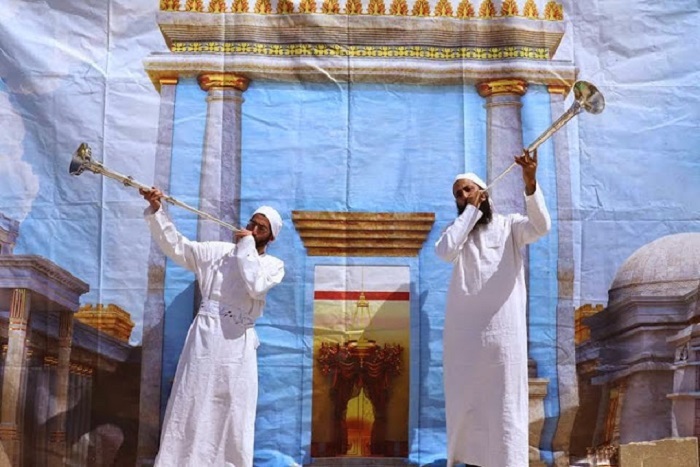 In preparation for the upcoming festival of Passover, this past Wednesday (5 Nisan – 25 March) the ‘Priestly Training Academy’ established by the Temple Institute held a Passover offering practice drill that was documented by professional photographers. This was the most accurate and authentic reenactment of this service to have taken place in nearly 2,000 years. 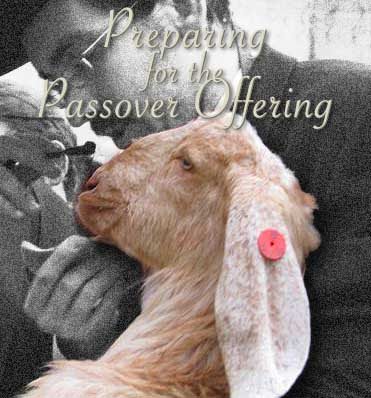 The Temple Institute is currently producing an educational documentary film which will depict the various stages of the Passover offering. 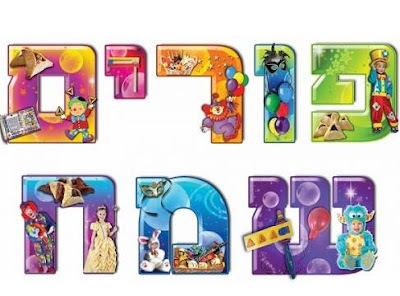 A DVD is also in the works for the benefit of yeshivot, seminaries and schools, and all who wish to study the details of this important subject. The Kohanim who participated in this drill, all true descendants of Aaron, all wore authentic Priestly garments and recited the appropriate ‘blessings’ ( in practice mode) which applied to each stage of the commandment’s fulfillment. The event was accompanied by blasts from silver trumpets, and the song of the Levitical choir. 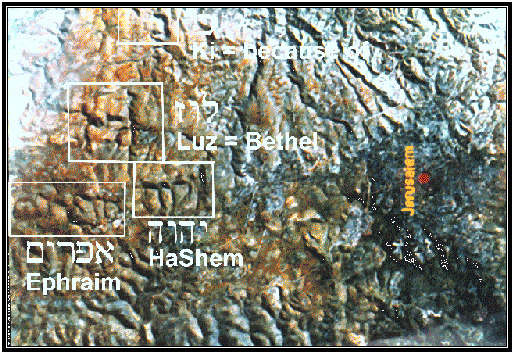 Other stages of the drill included: examination of the lamb for blemishes, the priests bringing the animal to the Temple courtyard, the shechita and receiving the blood which is brought to the corner of the altar, skinning and separation of the inner parts, and the roasting of the whole lamb as required by the Divine command, in a special Passover oven designed and built for this purpose. Palestinian Authority (PA) Chairman Mahmoud Abbas used the platform of the Arab League summit in Sharm el-Shekh, Egypt, this Saturday to attack his "unity partner" Hamas, making a subtle call for the Arab states to take military action against the Gaza-based Muslim Brotherhood offshoot. Speaking at the 26th summit in the southern Sinai peninsula, Abbas made reference to the campaign of airstrikes launched last Thursday by Saudi Arabia and other Arab countries against Iran-backed Shi'ite Houthi rebels in Yemen - the Houthis have overthrown the government while rapidly expanding their control. "I hope that the Arab countries will take the same policy they employed in Yemen for all Arab countries suffering from internal conflict - like Palestine, Syria, Libya and Iraq," Abbas said according to Yedioth Aharonot, in an open jab at Hamas in Gaza. 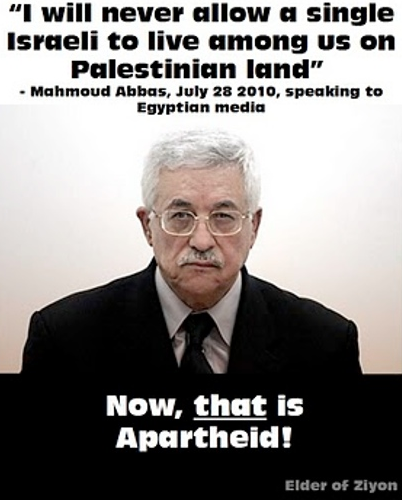 Making Abbas's comments calling for military intervention in "Palestine" all the more pointed is the fact that just two days earlier, Abbas's adviser on Religious and Islamic Affairs Mahmoud Al-Habbash, who also serves as PA Supreme Sharia (Islamic law) Judge, made similar remarks. Al-Habbash urged the Arab countries to take action and strike Hamas with an "iron fist," in an open call for military intervention. Hamas and the PA signed a unity deal last April, which has done little to damper the enmity raging between the rivals ever since Hamas violently seized control of Gaza in 2007 - the most obvious example of the how the deal has not changed tensions was when Hamas tried to stage a coup against the PA in Judea and Samaria last year. Responding to Al-Habbash, Hamas said the comment is "a dangerous and not nationalist call." Een nieuwe website geeft met honderd links, ‘vensters’ een prettig leesbaar en fijn geïllustreerd overzicht van de geschiedenis van de Joodse gemeenschap in Nederland. 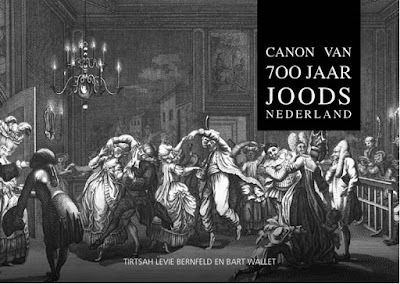 De Joodse Canon is samengesteld door historicus Bart Wallet in samenwerking met Tirtsah Levie Bernfeld. Wallet is volgens The Times of Israel ‘one of the leading experts on the Dutch Jewish community’ en het Nieuw Israëlietisch Weekblad noemt hem een ‘wandelende encyclopedie van de Nederlands-joodse geschiedenis’. Volgens Wallet is ons beeld van de Joden ‘vrij karikaturaal: de Shoah en Israël, verder komen we niet. Wij willen laten zien dat het Joodse verhaal meer is dan die twee dingen’. De Joodse Canon begint in 1295, met een verhaal over de Jodenstraat in Maastricht, één van de oudste Joodse wijken van Nederland, en eindigt in 2012, met de ‘musealisering’ van de oude Amsterdamse Jodenbuurt in het ‘Joods Cultureel Kwartier’. Daartussen de bekende verhalen uit de Joods-Nederlandse geschiedenis, zoals de ban van Spinoza door de Amsterdams-Portugese gemeente, de aanstelling van de eerste Joodse minister, Michel Henri Godefroi, de verhalen van het kamp Westerbork en van Anne Frank, maar ook minder bekende verhalen, zoals de instelling van een numerus fixus voor Joden in Leiden, in 1735, en het besluit, in 1817, dat Joden Nederlands moesten leren om beter te integreren. 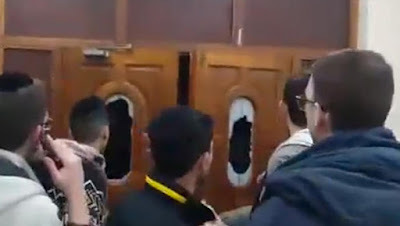 Police arrested six men after a group of 20 or so tried to violently force their way into a London synagogue late Saturday night, according to multiple reports. In a video posted to YouTube that appears to show the incident, members of the Ahavas Torah synagogue in Stamford Hill can be seen defending themselves with chairs and other objects amid loud cursing and an apparent assault by an unseen group just outside a pair of doors with broken windows. Reuters reports only one worshipper sustained minor facial injuries defending the building. It is unclear what kicked off the incident, but police expressed doubt it was a planned attack. 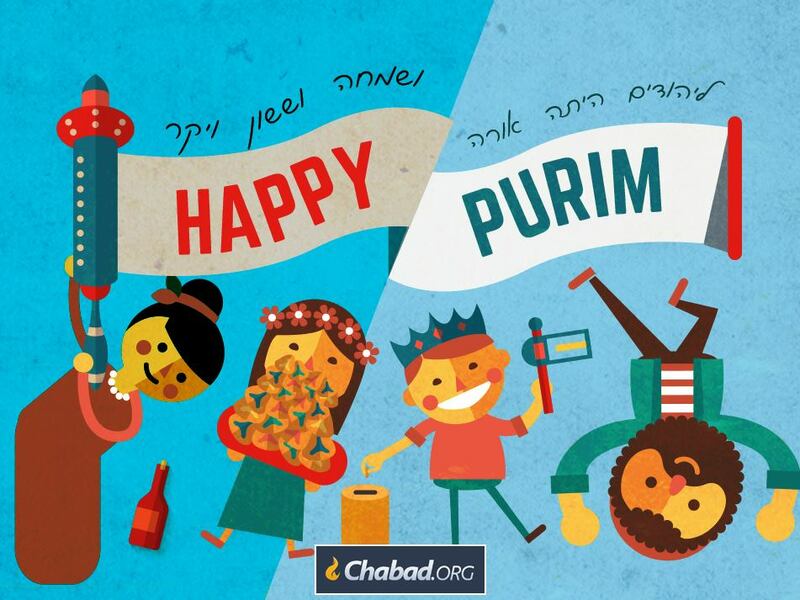 "The incident is being treated as an anti-Semitic incident, due to remarks made by one of the group," London's Metropolitan police said in a statement. "However, there is nothing to suggest it was a planned or targeted attack." Rabbi Maurice Davis of the Ahavas Torah synagogue, backed up the police statement, telling the BBC: "I think this incident was more anti-social than anti-Semitic." Israeli President Reuven Rivlin on Wednesday night received the final results of last week’s elections and promptly tasked Benjamin Netanyahu with forming the next government, effectively naming the latter Israel’s next prime minister. 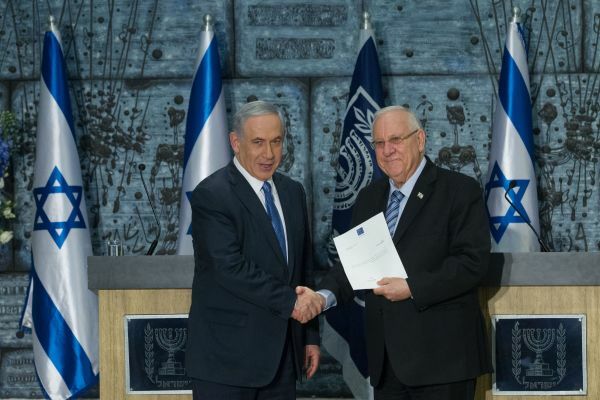 Netanyahu on Thursday began the first official coalition negotiations, and troubles surfaced almost immediately. Moshe Kahlon, whose Kulanu Party won 10 seats, suddenly canceled his scheduled meeting with Netanyahu after learning that the ultra-Orthodox parties would be offered key economic positions in the Knesset. Kahlon ran on a platform of further reforming the Israeli economy, an in particular tackling skyrocketing housing prices. 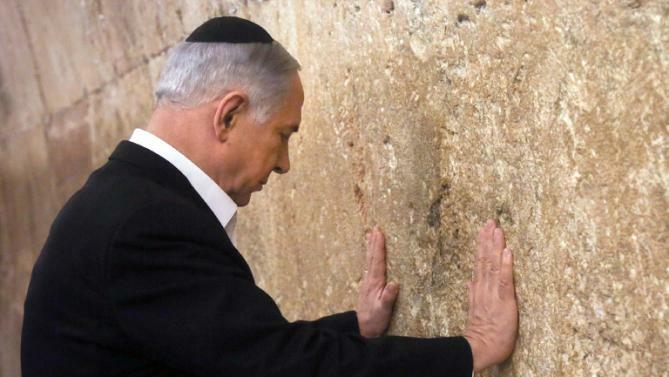 He argues that giving the ultra-Orthodox control over Israel’s purse strings would prevent any meaningful progress. Naftali Bennett, whose Jewish Home brings 8 seats to the coalition, kept his meeting with Netanyahu, but was adamant he would head to the opposition if not given either the Foreign Affairs or Defense ministries. Avigdor Lieberman, whose Israel Beiteinu won just 5 seats, has also demanded the Defense Ministry, and has likewise stated his willingness to sit in the opposition should that condition not be met. Inside Netanyahu’s Likud, senior party members have attacked the smaller potential coalition partners for not being more modest in their demands. The higher ranked of Likud’s 30 Knesset members also insist on being rewarded with ministerial posts. All these countries with these natural disasters cursed Israel by SUPPORTING and RECOGNISING a PALESTINIAN STATE. Italy & Mexico recognised PA Observer staus UN, are in the process. A video recording of a deadly terrorist attack at a Shiite mosque in Yemen on Friday revealed that worshipers were chanting a slew of hateful slogans just as a suicide bomber detonated himself, killing scores of people. The bombing, one of three committed in a pair of mosques, was carried out by the Islamic State during weekly prayers. At least 142 people were killed and 351 were wounded in the attacks, carried out in the Shiite rebel-controlled capital city of Sana’a. The amateur video, hosted and translated by the Arabic media watchdog MEMRI, shows a preacher conducting a sermon at the Houthi al-Hashoosh Mosque, leading the crowd in an impassioned cry against Israel, the United States and Jews. “Our belief in Allah will increase after today. We will triumph over their deceit and their arrogance. 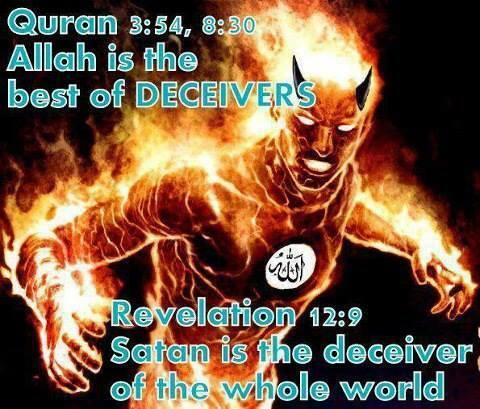 Allah is with us,” the preacher said. “Death to America. Death to Israel. 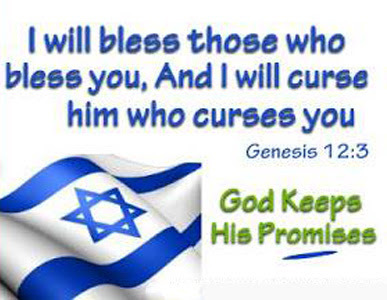 Curse upon the Jews. 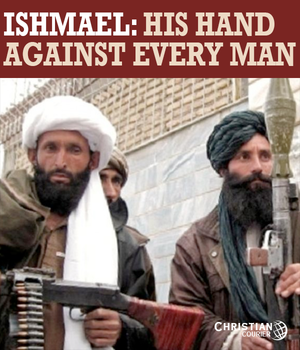 Victory to Islam. Allahu Akbar,” the worshipers recited en masse. Then a terrorist roaming among the mosque’s patrons detonated himself, causing a scene of mass panic. Obama and the Two State 'Solution' (Disaster). 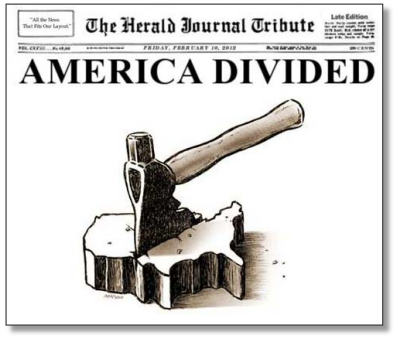 Obama is dead wrong over the Two State 'Solution' (Disaster). It is The Road Map to Israel's Destruction! 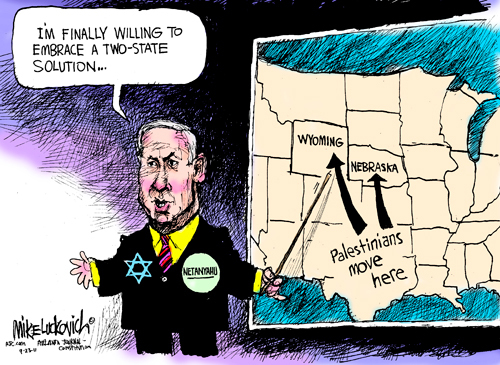 If the U.S. Administration will keep on pushing for Two States, and when it will force Israel to give away Land and Settlements (from the 'westbank', Israel's heartland: Judea and Samaria) to the 'palestinians', America will be literally Split in Two, for Dividing Gods Land. 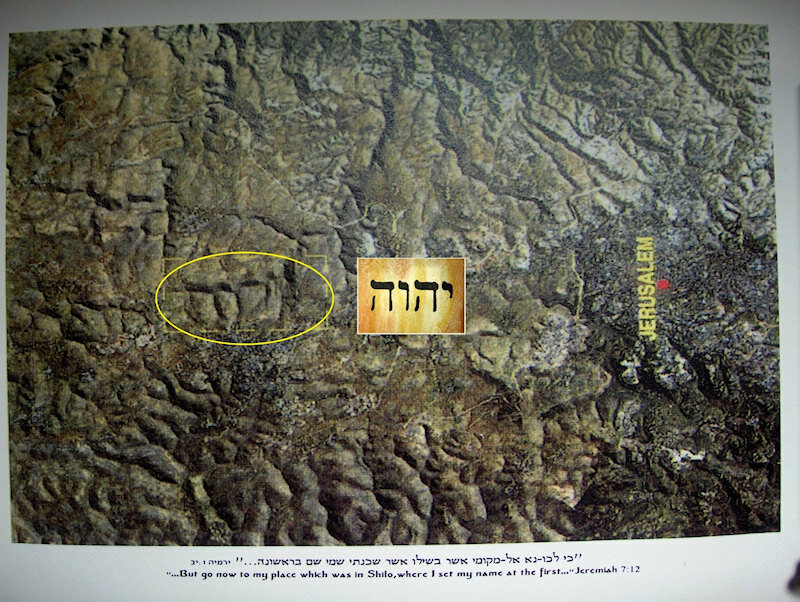 21 And then, whoever calls on the name of Adonai will be saved. 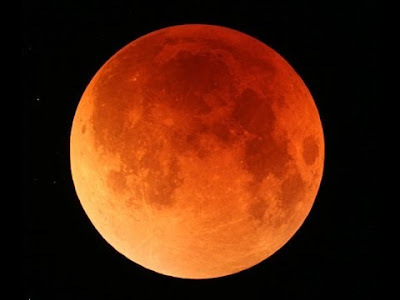 12 Then I watched as he broke the sixth seal, and there was a great earthquake, the sun turned black as sackcloth worn in mourning, and the full moon became blood-red. 13 The stars fell from heaven to earth just as a fig tree drops its figs when shaken by a strong wind. 14 The sky receded like a scroll being rolled up, and every mountain and island was moved from its place. 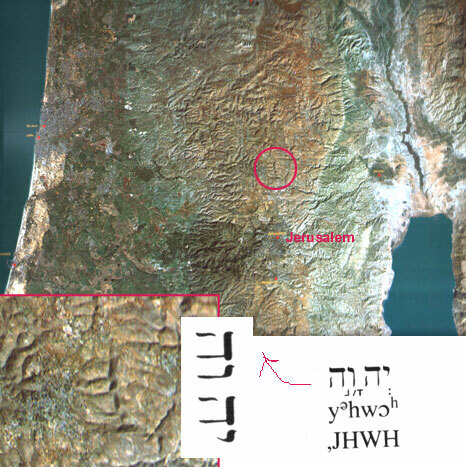 16 and said to the mountains and rocks, “Fall on us, and hide us[a] from the face of the One sitting on the throne and from the fury of the Lamb! 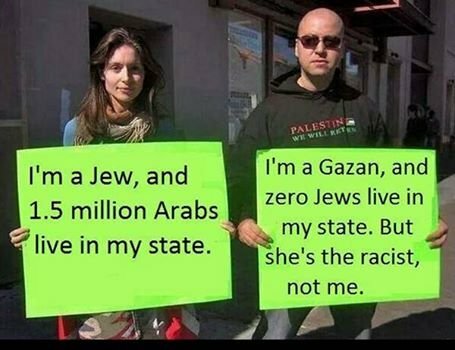 The Only true rascists are Islamic Arabs and self proclaimed Islamic Arab 'palestinians'. No Jew can freely live and work or vote in their Islamic Arab countries, as the Arabs in Israel. The Islamic Arabs always keep on wining.an complaining, because they want to take Israel's (God's) Land. 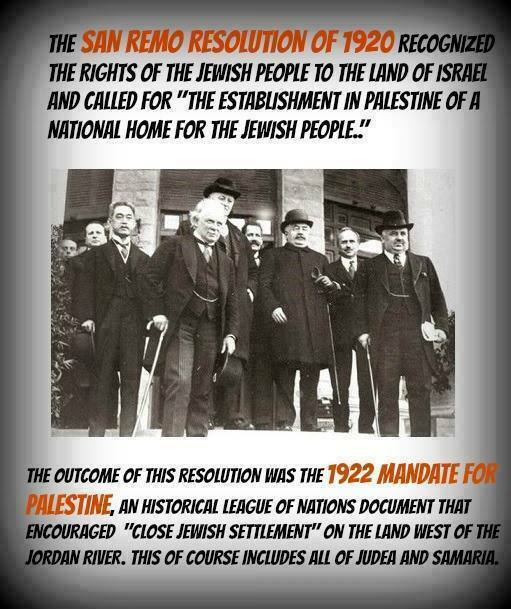 We are Against a two state solution! Photo: Henoch's visit near the Knesset, Jerusalem, 19th Oct. 2014. Ik zag gisteren het debat tussen Geert Wilders Alexander Pechtold. Daar is veel over te zeggen, maar ik wil mij focussen op een punt dat de heer Pechtold van D66 maakte. Het is een punt dat veel linkse, liberale, en blinde politici al geruime tijd maken. Je hoort het zowel hier in Nederland als bij buitenlandse politici. Het punt is het volgende: Een kleine groep ellendelingen (jihadisten, fanatici, radicalen) heeft de religie, het geloof, van de islam/moslims gekaapt, en maakt het ware geloof van de islam (die volgens hen toch eigenlijk vredelievend is) tot een schande! Ik weet niet of deze politici dit te doen om op een politiek correcte manier geen onrust onder de moslims te zaaien, of omdat zij dit doen uit totale onkunde en onwetendheid. Men wil maar niet de historische feiten, en de ware aard van deze religie, erkennen. Of ze hebben er geen onderzoek naar gedaan, of het interesseert ze niet. De Heer Jezus zegt in de bijbel, dat een slechte boom geen goede vruchten kan voortbrengen. Deze gelijkenis is geheel duidelijk. Je moet onderzoeken, wat is de boom? En je moet onderzoeken, wat zijn de vruchten? Het is heel simpel: de slechte boom is in dit geval de islam, die brengt slechte vruchten voort, namelijk het islamitisch terrorisme. 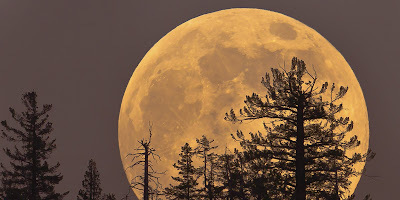 Een goede boom bijvoorbeeld, is het Christendom (ook het Jodendom), want die brengt goede vruchten voort, zoals liefde, ontferming, barmhartigheid. 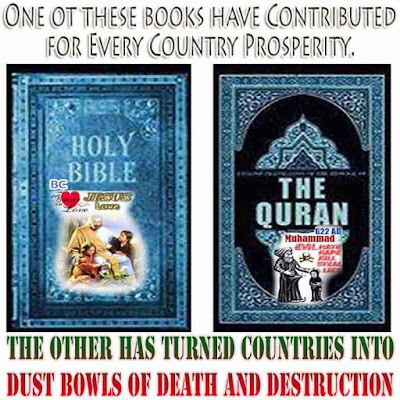 Een basis/wortel van die slechte boom, is het islamitische boek de koran. Het Liefdesboek van God is de Bijbel. Het ene boek predikt haat, en het andere boek predikt liefde Ik zeg altijd: Het is een strijd tussen twee boeken; en welke God is de ware God uit die boeken?! Wanneer je dat niet uitzoekt, dan ga je inderdaad dit soort rare punten maken als de heer Pechtold en vele andere politici, die er geen verstand van hebben. Dan kun je jezelf afvragen, waarom zijn er dan ook zoveel door de wereld benoemde 'gematigde' moslims? Dan zeg ik je eerst bij voorbaat al, dat ze net zo lang gematigd zullen zijn, totdat zij de overhand krijgen in getal, want dan zullen zij al snel omslaan naar onderdrukkers en onderwerpers. Maar dit even terzijde. De zogenoemde gematigde moslims, zijn eigenlijk culturele oftewel traditionele moslims, zij zijn moslim vanaf hun geboorte, omdat hun ouders ook moslim waren of zijn. 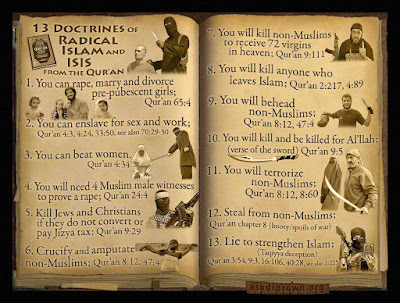 Culturele en traditionele moslims, weten in het algemeen ook niet veel over de inhoud van hun koran, net zomin als een traditionele rooms-katholiek (of protestant, maakt niet uit) weinig of niets weet van zijn/haar bijbel. Zodra een moslim of moslima echter inhoudelijke koran studie gaat doen, dan radicaliseert zo iemand door de tekst al gauw. En dan krijg je dus een islamitische fundamentalist die gevaarlijk wordt voor onze samenleving. Wanneer iemand echter de bijbel gaat lezen en bestuderen, dan wordt die persoon een volgeling van Jezus Christus, en een liefdevolle modelburger. 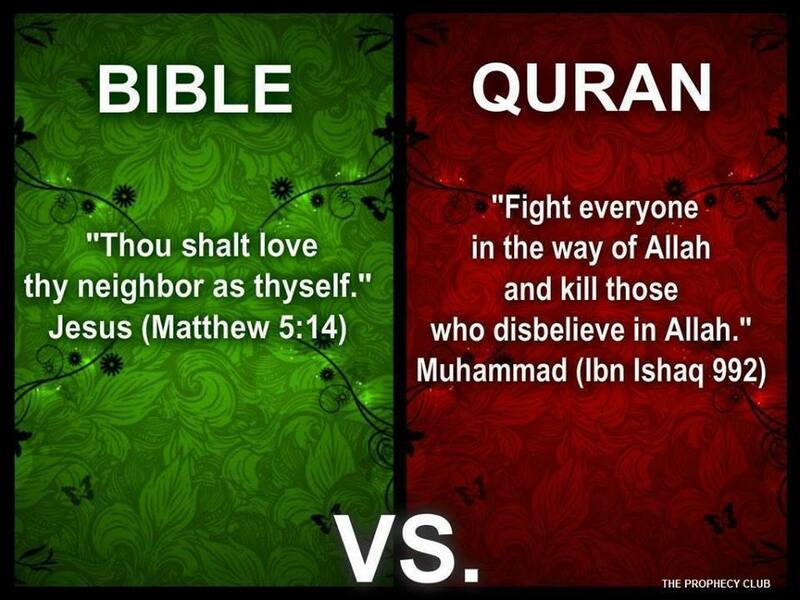 Ziet u het verschil tussen de twee boeken, en de twee religies? Daarom zegt Jezus ook, een goede boom zal ook goede vruchten voortbrengen! Ik hoop met dit stukje een beetje een sluier te hebben opgelicht, alhoewel het een ingewikkelde materie is, en moeilijk uit te leggen, zeker voor mensen die deze dingen niet geestelijk kunnen beoordelen of verstaan. 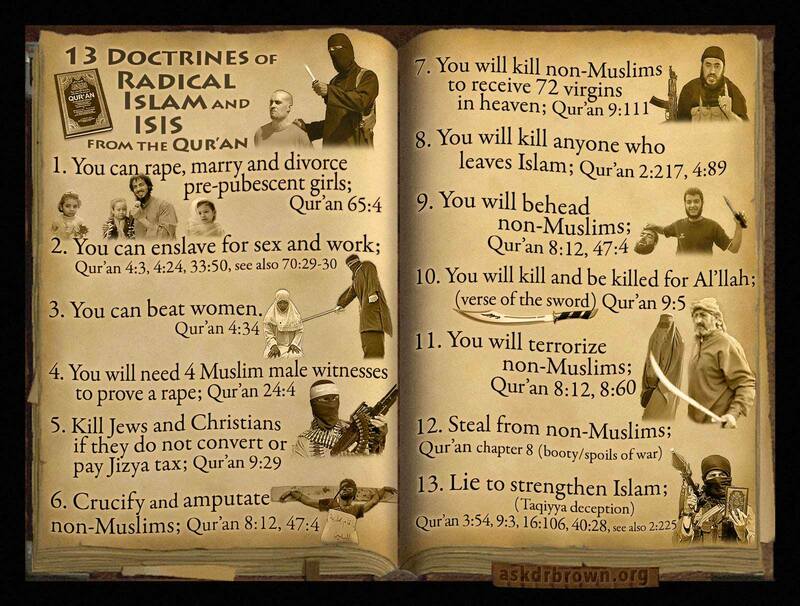 Ik heb eens een Joodse broeder horen uitleggen, dat de islam en de koran, moslims in een psychose brengt en doet blijven. En ik denk dat daarin heel veel waarheid schuilt! Helaas. 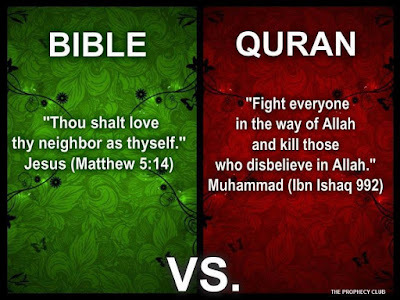 Met de liefde van God, en Jezus Christus, hopen en bidden wij dat nog veel moslims tot de waarheid zullen komen, en de koran mogen verwisselen voor de bijbel, en Allah mogen verwisselen voor Jahweh! Geschreven door Henoch (17 maart 2015). Ps. u mag deze tekst vrij kopiëren en verspreiden! 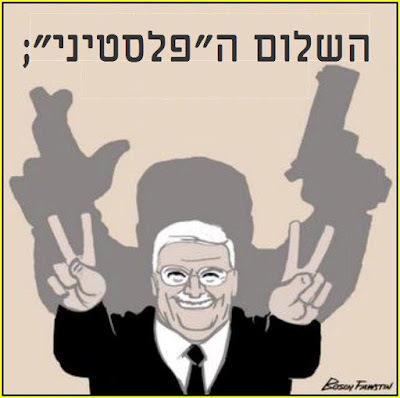 Israeli Elections - Please, don't vote Left !!! 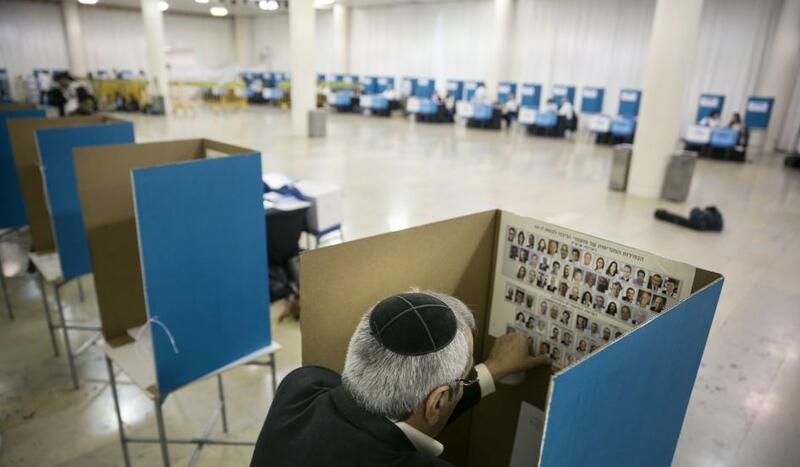 Voting for the left parties at the coming Israeli Elections will bring Israel in Great Danger! It will mean a covenant with death, a deal with Iran so it can obtain an atom-bomb, and more land for 'peace'. This fabulous story came from Aleppo, Syria earlier this week. 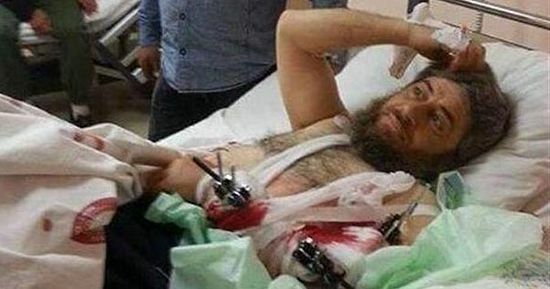 An 32-year old ISIS jihadist has recently experienced clinic death after recieving multiple gun shot wounds in clashes with the Syrian Army forces and left helpless by his fellow fighters at the battlefield. He was found unconscious by monks of the Saint Dominican Catholic Presbytery of Ayyash hours after his collapse. They carried his body 26 kilometers to give a proper burial before this man came miraculously back to life. As hecame back to his senses, he reported to priest Hermann Groschlin of the visions he had whilst in the afterlife, an event that profoundly changed him. The enemy of your is enemy is your enemy! 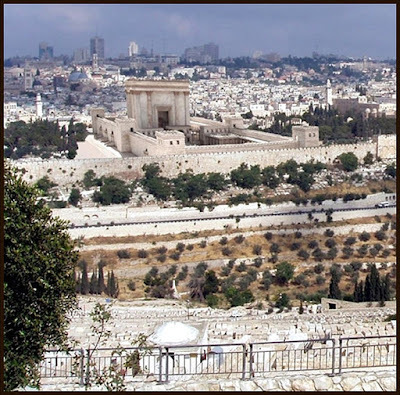 Jews will be able to pray on Temple Mount comes true! 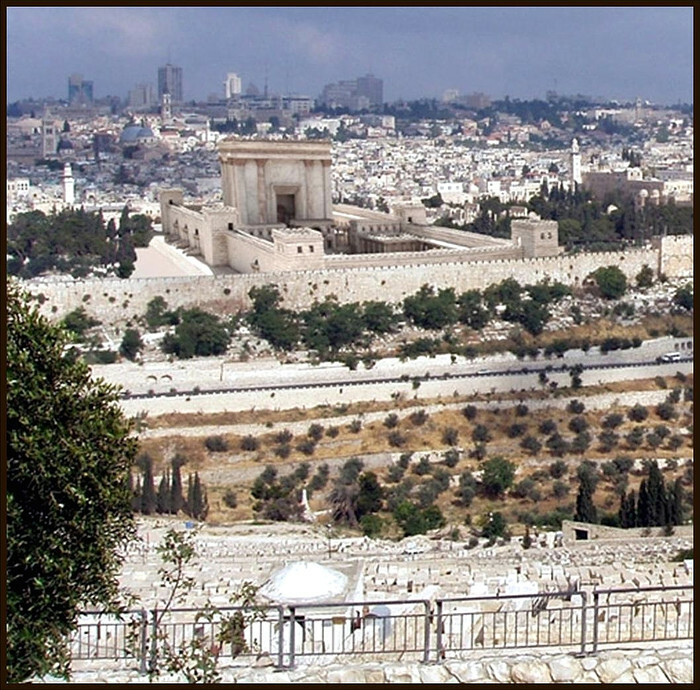 Jewish Temple Mount Prayer Tomorrow? BETHLEHEM (Ma'an) – A Kuwaiti newspaper reported Saturday that US President Barack Obama thwarted an Israeli military attack against Iran's nuclear facilities in 2014. 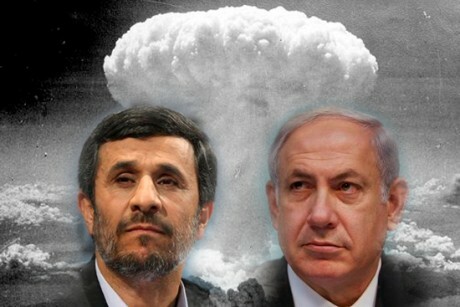 Al-Jarida newspaper quoted "well-placed" sources as saying that Israeli Prime Minister Benjamin Netanyahu had taken a decision to carry out airstrikes against Iran's nuclear program after consultations with his minister of defense Moshe Yaalon and foreign minister Avigdor Liberman in the presence of top security commanders. The decision came, according to al-Jarida, after Israel revealed that the United States and Iran had been involved in secret talks over Iran’s nuclear program and were about to sign an agreement in that regard behind Israel's back. 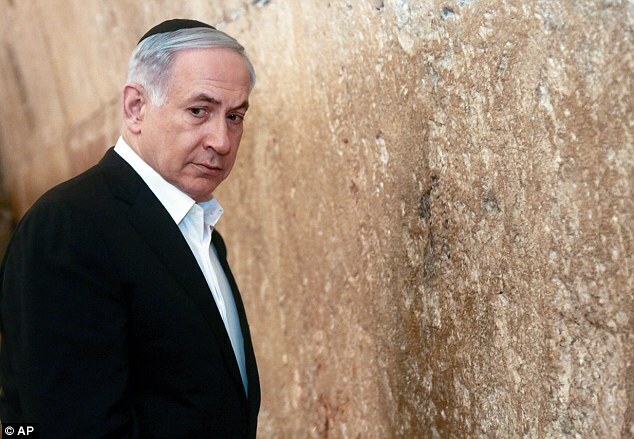 According to the report, Netanyahu and his commanders agreed after four nights of deliberations to task the Israeli army's chief of staff Beni Gants to prepare a qualitative operation against Iran's nuclear program. 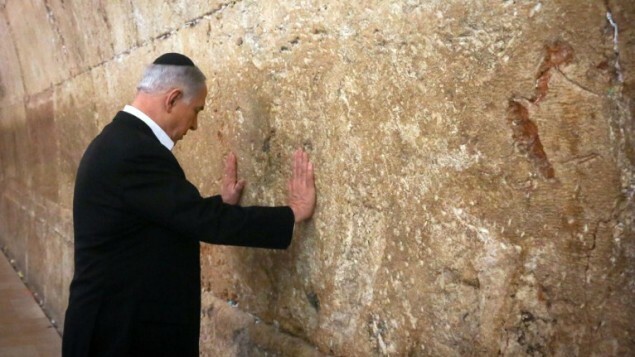 In addition, Netanyahu and his ministers decided to do whatever they could do to thwart a possible agreement between Iran and the White House because such an agreement is, allegedly, a threat to Israel's security. 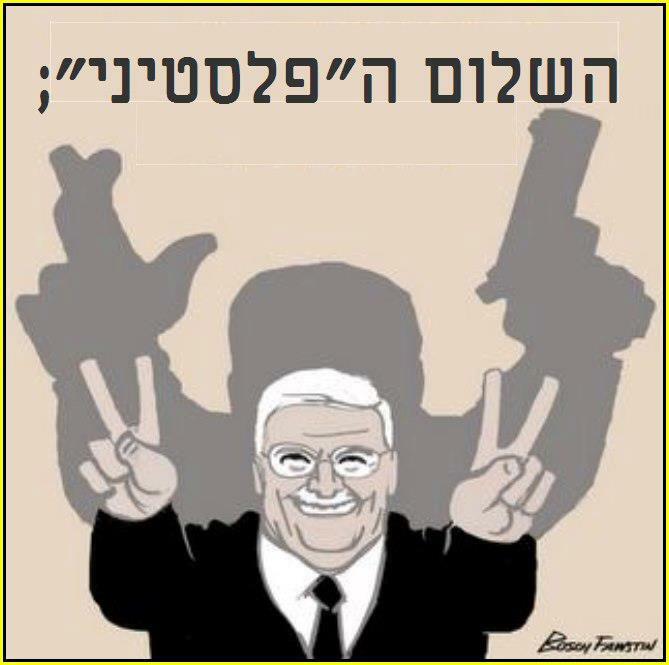 The sources added that Gants and his commanders prepared the requested plan and that Israeli fighter jets trained for several weeks in order to make sure the plans would work successfully. Israeli fighter jets even carried out experimental flights in Iran's airspace after they managed to break through radars. 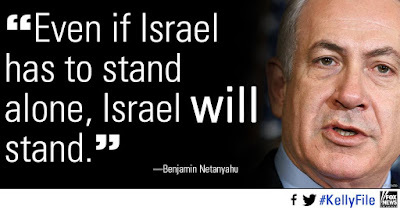 However, an Israeli minister "who has good ties with the US administration revealed Netanyahu's plans to Secretary of State John Kerry" and as a result Obama then threatened to shoot down Israeli jets before they could reach their targets in Iran. Netanyahu had to abort the operation and since then relations between Israel and the United States have been declining, according to the sources quoted in the report. 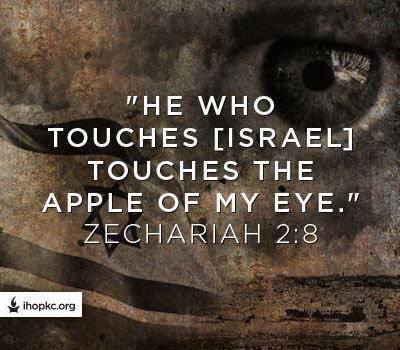 You don't want the crazy antisemetic Haman's of Iran (Persia) to get a nuclear bomb!